Do you know the weather risks in Germany? Do you know the weather risks in Germany? Do you know what to do before or after a natural disaster? Do you know how to help others be a force of nature? 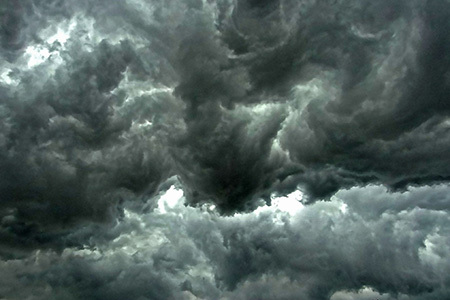 Have you ever walked outdoors, looked up at the clouds, and then noted that it was going to be a rough weather day? Knowing the weather patterns has always been advantageous whether one plans outdoor activities or seasonal farming. For more than two hundred years we’ve had the Old Farmer’s Almanac to reference. Today we rely on technology to keep us informed. We don’t expect violent weather while living in Germany but it is present. Just last year the headlines on April 1 read “At least nine dead as fatal storms hit Germany and Austria.” Winds as high as 118 mph were recorded on the Zugspitze, the Munich train station had to be evacuated due to fears that the roof might collapse, and dozens of persons were injured by flying branches in some of the 900 incidents emergency responders were called to. In May of 2015, a tornado was reported near Rostock that flipped autos and blew roof tiles off of buildings. This year alone there have been 6 suspected tornadoes or funnel clouds in Germany. Understand the type of hazardous weather that can affect where you live and work, and how the weather could impact you and your family. Follow local weather forecasts through the USAG Bavaria website. Go to www.bavaria.army.mil and follow the weather advice listed under Emergencies & Weather. Register for AtHoc alerts. Family members may be registered under their sponsor’s mirror registration site. Find more info at www.bavaria.army.mil/AtHoc. Lastly, help your friends and family be weather ready by sharing your preparedness story.